New yummy cupcakes at Cupcakes & Poetry! 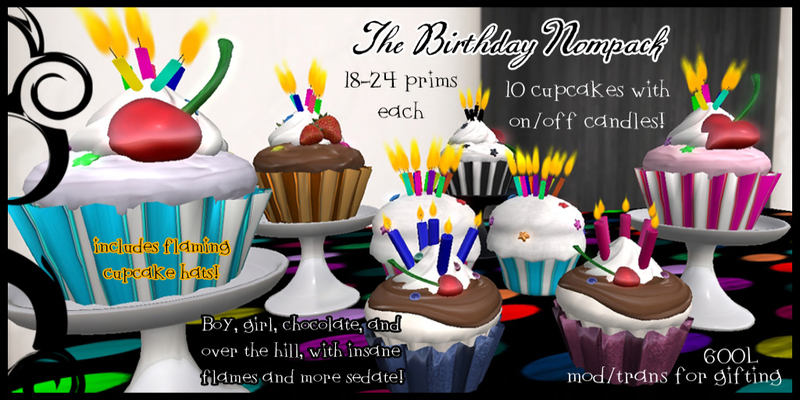 Cupcakes & Poetry has a new Birthday Nompack out which is too cute and be perfect for anyone’s upcoming birthday. In the nompack you get 10 cupcakes that are mod/trans, on/off candles and you also get two flaming cupcake hats! ← Summer of Love Fair is now OPEN!! !